Z-8 EHT is a RFID reader combined with the standalone controller which manages of the door lock of traditional construction. 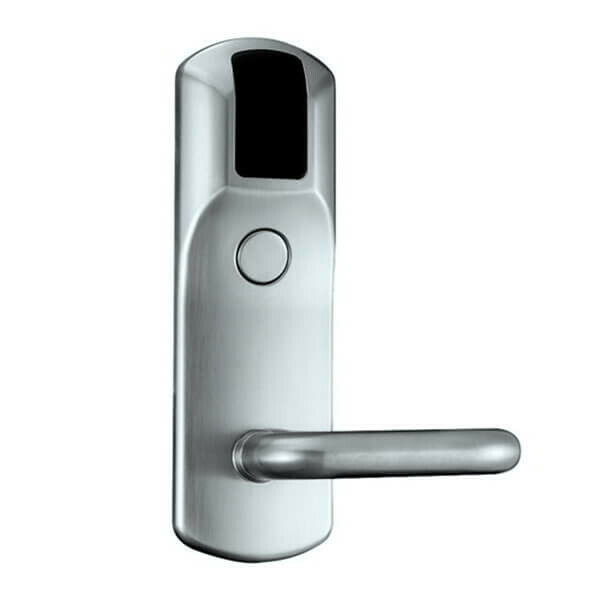 It's necessary to bring the RFID key to lock reader for open the door from outside and it's enough to turn the door handle for open the door from inside. Lock is powered by 4 x AA size 1.5V batteries. Attractive appearance, rugged construction, ease of programming and installation, advanced functionality allows you to use Z-8 EHT lock in the dorms, college campuses and camps, offices and administrative buildings. 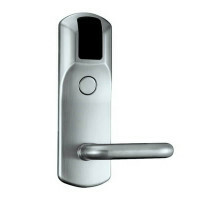 When Z-8 EHT lock used in conjunction with software such as Property Management System (Hotel Management System) and the RF-1996 adapter, it provides reliable service in the hotels, spas, and other objects, where it's necessary to issue and keep records of the client and guest cards with a loss and copying protection.